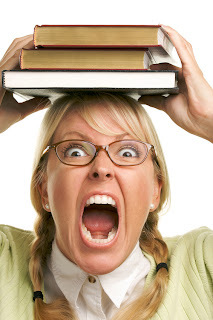 Carmen DeSousa: The Worst Book Publishing/Marketing Tip I've Ever Read! Authors, please Do Not take this advice. The Worst Book Publishing/Marketing Tip I've Ever Read! Authors, please Do Not take this advice. This is NOT my status; I'm complaining about it. So please read all before jumping in. This was a Twitter status from a man who has 7k followers; I am not one of them, thankfully. And though I don't usually get involved, I couldn't resist. Please read on to understand why this is so utterly ridiculous. If anything, we share readers! When a reader has read all my books, I recommend authors and books I believe they will like. And, I purposely share other authors' books on Twitter, Facebook, and even my website. Because I can write four books a year; my readers can read four a week! If I read and share authors in my genre, doesn't it make sense they will share their readers with me. So, in fact, we are helping ourselves by sharing other authors. Right? For example: If I have a friend with ten thousand readers, who have never heard of Carmen DeSousa, but love my friend, what will they do when they finish her books? Have you seen those little images of books below your books on Amazon? Have you noticed a trend? I have. On every one of my books, at least one of my friends' books are listed. There, that's all the proof you need. And still another reason... Why would you alienate yourself from other authors? Last time I checked, most if not all authors were avid readers before they became authors. Even when I'm writing, I manage to read a book or more a week. That's not going to change. Matter of fact, I have enough books on my Kindle to last me years, and yet, just this morning, I bought another one! Please, authors, do not listen to this silly piece of advice! Like I told you over the weekend!!! This utter RUBBISH!!! Exactly, Terry! That's why I decided I must post it on my website. It only makes sense. If I recall, after reading this status on my Facebook Saturday, you met a few new author friends, right? It is the silliest thing I ever read, and not that I ever mean anyone harm--the reason I have not posted the name of this person--but I truly expected ALL of his followers to unfollow him. That is really bad advice. I can't believe he tweeted that. I completely disagree with him. I promo other authors all the time because you're right. I may only be able to write a few books a year but in my reading group there are people who read over 100 books last year. I checked and I don't follow him either, thankfully. Yes, horrible advice. Other authors are NOT my competitors; they're my colleagues. We're all in this together, and supporting one another is beneficial to us all. Some of my most popular blog posts have been when I hosted or interviewed other authors. and when other authors are kind enough to host me, I do all I can to promote them and their blogs. Some people seem to view readers as a finite resource, like a pie from which others are taking slices, a zero-sum game. I find this patently ridiculous. Yes, many book buyers are on a budget, but just because someone bought Carmen's book instead of mine this week doesn't mean they won't buy mine next week. That is the most UNPROFESSIONAL tweet I've seen, and I've been on Twitter for a while. Goodness! Hard to believe someone would say that. Support is the name of the game, and some people don't realize this is a SMALL world. Thanks for the heads up, Carmen! Doesn't sound like a nice person to suggest this, especially with people new to the field. Thank you for the heads up. What complete WUBBISH. This is someone who's going at the whole thing bass ackwards. The truth is that interest in books cultivates interest in other books. Simple as that. We are all buoyed up by the success of the industry as a whole. We WANT readers to read. Does this guy honestly think there's anyone out there who is only going to read HIS book? I like to think other authors are my friends. In fact, I've gotten some really great advice from some of my author friends on Facebook and Twitter. They have forwarded my book promotions as I have forwarded their book promotions. I think its a good idea to work as a team with your friends and let the reader decide which books they want to read. I loved this post! I don't get it when some authors regard others as competition. By building each other up we build strong readership! Thank you, Brit, and everyone else for your comments. You know what's really sad...he isn't even published yet. He's writing a book, but claims to be a publisher. As you've noticed, I don't write these types of posts, but I COULD NOT resit letting the world know--well, my world--that I DO NOT feel this way. The last thing I want readers to think is that we are in competition. I get mad just thinking about it again. Grrr... I mean, it's so simple. How can any of you possibly be my competition. This is the one job I've had that I do not feel that way. When one of my friends make it... Ex: Rachel Abbott hit #14 overall in the nation after being an Indie for years. I cheered, I shouted, shook my pom-poms, AND... I bought her book to further her. Yep, I'm not a supporter. I spend more time talking about other authors' books than my own. Cheers, all! I'm writing a post right now and would love to link to this blog...so I'm asking your permission. And don't forget I had 786 visitors yesterday. (((smiles))) I love promoting other writers! Jeez, luring away other writers--what was the poor slob thinking? If readers like another romance author's books, chances are they'll like mine too. Sheesh. I feel bad for the people following this guy. I hope they don't take him seriously. Sadly, I took him serious enough to write this post, encouraging other authors, especially aspiring authors, to ignore his ridiculous statement of "Truth". Grrrr... The other authors who read it unfollowed him immediately. Right after yelling at him. :) And the funny thing, he isn't even an author. His first book is on its way! Bio says publisher. Sigh! Thanks for stopping by, Amelia. I haven't seen you in a while. Hope all is well. I almost feel like singing "There's Room for Everyone in This World." Readers greatly outnumber writers, there are enough to go around, plenty to share. There's no need for petty theiving. Yes, that is seriously bad advice! I wholeheartedly agree with you. One author tweeting about another caused me to read *both* of their books, when I'd previously never heard of either of them. Definitely share the love!